I will try my self and se what happens. No they are not...so send me yours. 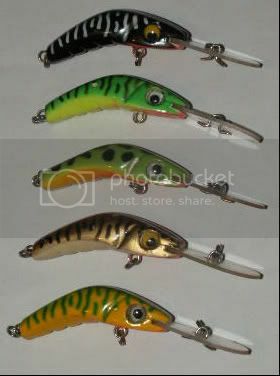 I am trying to get a collectoin of downunder lures. So if you have any please send them on to me. I was told you have a nice rainbow trout one Chief. Here are some of thegood ones. If I can find some of the 80's or MinMin's I will post a pic. Does anyone collect the Woomera's?